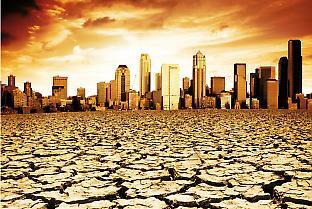 Heat stress is a fact of life for the majority of the world. Indeed, cultures have been shaped by efforts to avoid heat. A well-known example is the Mediterranean siesta, which signals a work break during the hottest part of the day. Similar adaptations to heat have occurred in the tropics where work begins earlier, ends later and is carried out more slowly. Despite these precautions, severe heat stress regularly kills. The dangers of sequential days and nights with elevated temperatures, referred to as heat waves, are well-known by communities and authorities in Australia. For example, in southern Australia during the record-breaking heat wave that led to the devastating “Black Saturday” bushfires of 2009, more lives were claimed by heat stress than by the fires themselves. A high profile heat wave in western Europe killed more than 35,000 people during 2 weeks in the summer of 2003. Most of the deaths caused by such heat waves are among the elderly, but it is noteworthy that more than 1000 of these deaths in the 2003 heat wave were among people aged 35–64. The European and Australian events also reflect another global pattern: many people who die from heat stress live outside the tropics even though the average climate is mild compared with the tropics. This peculiarity points to the importance of adaptation. Weather in mid-latitude regions is highly variable, and the worst heat waves occur infrequently – every few years or decades. This may mean that local physiology and customs are not adapted to severe heat when it finally does arrive. In the tropics the climate is less variable, and hot seasons last for a large proportion of every year. For people living in these climates, coping with heat stress is a part of everyday life. Tropical heat extremes can still have significant human impact, as shown by recent heat waves in India and Pakistan. Although detailed epidemiological data are not available, during this past summer (in mid-2010), temperatures were recorded above 50°C in a number of locations in both countries. It is not surprising that fatalities occur and make international headlines. But because the local media generally tend to only report on particularly extreme conditions, such as these recent heat waves, the actual health impacts from heat stress are likely to be hidden in the morbidity and mortality patterns for these regions. Can humans acclimatise to higher temperatures over time? Some of Australia’s Aboriginal communities have been living in changing climates in central and northern regions of the continent for tens of thousands of years. Today, these communities show similar heat avoidance behaviours as those in tropical regions of other continents, such as only working early in the morning and late in the evening, as well as sleeping through the hottest part of the day. More recent acclimatisation to heat can be seen by Aboriginal Australians who live on outstations without electricity or air conditioning. They show a much greater ability to feel comfortable and continue working at their own chosen speed in higher temperatures than non-Aboriginal Australians living in the same conditions. Global warming is, unsurprisingly, making heat waves hotter. Specific case studies are beginning to document how rising temperatures are affecting human behaviour. In Western Australia’s Kimberley region, temperature extremes are affecting schooling in remote communities. As sweltering temperatures distract children, teachers are more frequently taking them out of the non-air conditioned class rooms to swim in billabongs in order to cool off. This activity is good for their health and well-being, but not so good for their academic progress. Another impact is an increase in the number of disputes and violence occurring during extremely hot weather. Clearly there must be physical limits to the human body’s capacity to acclimatise to extreme heat. All humans, whether responding to the heat of Arnhem Land or the chill of Norway, maintain a core body temperature of approximately 37°C. This warmth is maintained by our metabolism, which generates anywhere from about 100 W of heat during rest to 500 W when we are working very hard. It is crucial that our bodies be able to get rid of this heat without body temperature rising too high. (An additional factor is sunlight, which for people spending time in the sun can add significantly more heat that must be removed.) An elevated core body temperature causes a variety of acute and chronic health problems. By the time the core body temperature exceeds 40°C, organ damage occurs. An additional 2°C of core body temperature causes death. The processes that can remove the heat are convection from the skin to the air, heat loss through sweat evaporating from our skin, and heat radiation to cooler objects near the body. How rapidly they do so depends on complex interactions between the ambient temperature, humidity and air movement (wind), in addition to physiological acclimatisation and what you are wearing. High humidity is especially troublesome since it inhibits evaporation of sweat, which in very hot environments is the most effective cooling process. Several indices have been developed for measuring the net effect of the ambient environment on human comfort or thermal stress. One of the most important is the wet bulb globe temperature. This index is used by authorities in the US and Australia to determine when to cancel sporting events, for example, and to establish international standards for rest periods in hot workplaces. In theory, if temperature and humidity become high enough, heat removal becomes impossible because heat must flow into, rather than out of, the body. This deadly situation happens if a different measure, the wet bulb temperature, exceeds the skin temperature. The wet bulb temperature can be measured by covering a standard thermometer with a moist cloth and shading it from sunlight. It is always below the dry bulb (standard) temperature – and significantly below if the air is dry. So does the wet bulb temperature ever exceed human skin temperature? Fortunately it doesn’t – or at least not outdoors in the present climate. The highest reliable outdoor wet bulb estimate for different areas around the world in recent years is 31°C, while humans can sustain skin temperatures of up to 35°C. This means that our bodies can always get rid of heat, at least in natural conditions. The trick is getting rid of it fast enough, especially during hard work in the sun. People living in hot climates avoid overheating via a number of ways. The most obvious is that they stay out of the sun and avoid hard manual work during the hottest times of the day. Wearing cool clothing, using fans or air conditioning and drinking plenty of water all help our bodies cool by increasing sweating. There are specific nuances to the physiological adaptation: people accustomed to regular heat tend to sweat more evenly over their bodies while people less regularly exposed to heat tend to sweat a lot in just a few places. Importantly, while these adaptations help to reduce or maintain core temperatures under conditions today, they would be powerless in a situation where heat flow out of the body can no longer occur at all. In the relatively low altitude regions of the world where the majority of the world’s population lives, the wet bulb temperature reaches 28–29°C during the hottest and most humid heat waves. On rare instances it can reach 30–31°C in a few locations. Given what happens at wet bulb temperatures of 35°C, it is a real concern that current heat wave values are only 4°C below this in many populated areas. Could this narrow gap be just a coincidence? Maybe not, as humans have lived in significantly colder climates before now, but not significantly warmer ones. During the ice age or glacial periods, most recently about 20,000 years ago, the world was about 5°C colder, on average, than it is today. But the warmest world that humans have ever experienced, during the so-called “interglacials”, was only 1–2°C warmer on average than it is now. So humans’ core temperature of 37°C would have been just high enough to keep us comfortable throughout our evolution. To find global climates hot enough to cause real problems with our current physiology, we have to go back to at least the Eocene, or at least 35 million years ago, when the globe was perhaps 5–10°C warmer. At this time mammals were few, tiny, and had recently inherited the Earth from the dinosaurs. So very hot climates can indeed occur; we just haven’t been through them. business-as-usual emissions of greenhouse gases. The maths is simple: a 4°C increase in wet bulb values creates intolerable outdoor conditions, even in the shade in some areas. The Amazon and parts of India would be first, with northern Australia and other regions with very humid summers not too far behind. Simulations of warmer climates show that this happens if the average global surface temperature rises by 6°C. According to the highest of the widely accepted range of projections, in the absence of strong measures to reduce greenhouse gas emissions from burning fossil fuels, a temperature increase of 6°C could occur within the lifetime of babies being born today. 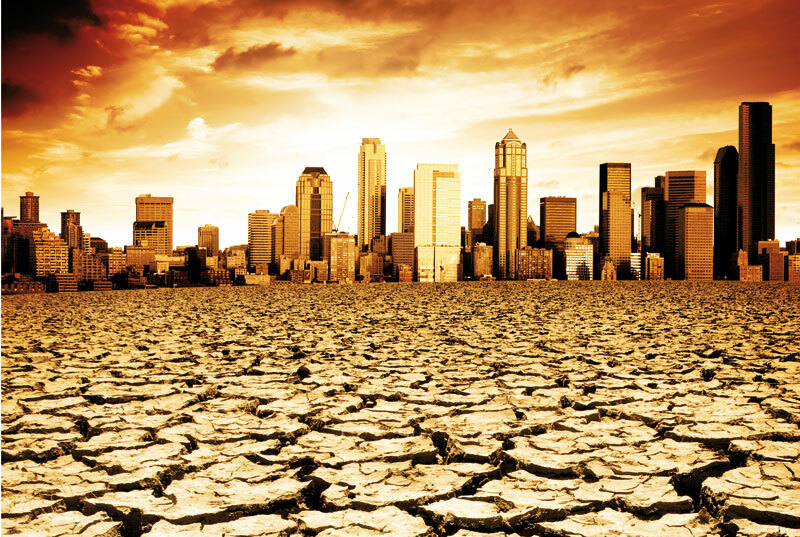 Although this is a worst-case scenario, an eventual warming of at least 6°C some time beyond 2100 is likely if the world continues its growing dependence on fossil fuels. The duration of the maximum heat wave in Australia has nearly doubled in the past 40 years, and most regions of the country have broken temperature records in the past decade. The increase in global average temperature over these decades was only about a half a degree, quite a bit less than anticipated future rises. If those rises come to pass, beating the heat in the future is going to get a lot harder. Steven Sherwood is Postgraduate Research Coordinator and Donna Green is Senior Lecturer at the University of NSW Climate Change Research Centre. Tord Kjellstrom is a visiting professor at the Australian National University.